Set in beautiful unspoilt, rolling countryside near the River Coly, bed and breakfast accommodation is available in this 15th century thatched cottage. Four self-catering cottages available all year. Family run, friendly relaxed atmosphere, spacious ensuite rooms, disabled facilities, indoor swimming pool, quiet location in East Devon. Lovely views over the Axe Valley to Seaton and the sea. 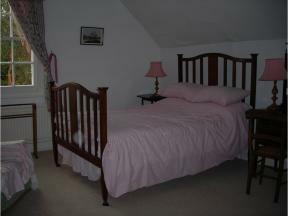 The Cottage - Marsh Bed and Breakfast is a great place to rest during your visit to the West of England. We are on the main route through the West Country. The Southern Cross Guest House & Tea Rooms in Newton Poppleford near Sidmouth offers traditional Bed and breakfast accommodation in its historic 14th century thatched cottage.